This winter school holiday, Queensland’s Westfield Chermside did the unthinkable. They allowed kids to skateboard and graffiti inside their shopping centre. 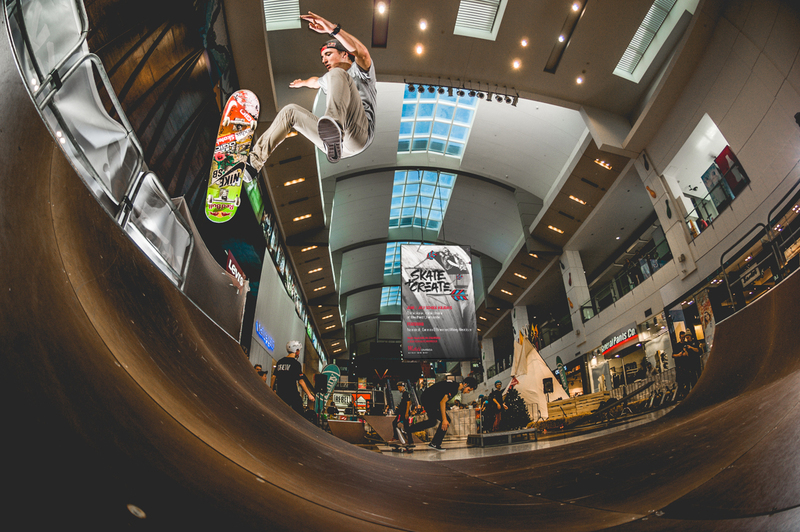 Conceptualised and implemented by Brisbane based experiential creative agency, The Playground, the Skate and Create activation embraced the connection that sits between skateboarding and street art to deliver both a skate park and creative studio inside the shopping centre. Over the campaign, artists such as Gemma O’Brien, Numskull, and up and coming Gold Coast skater Mikey Mendoza ran workshops and classes, giving the kids a chance to see their skills in action.